WASHINGTON — A NASA astrophysics mission that avoided cancellation last year could still face budget problems if it evades another termination threat this year, agency officials warned this week. WFIRST was the top-ranked flagship mission in the latest astrophysics decadal survey, published in 2010. 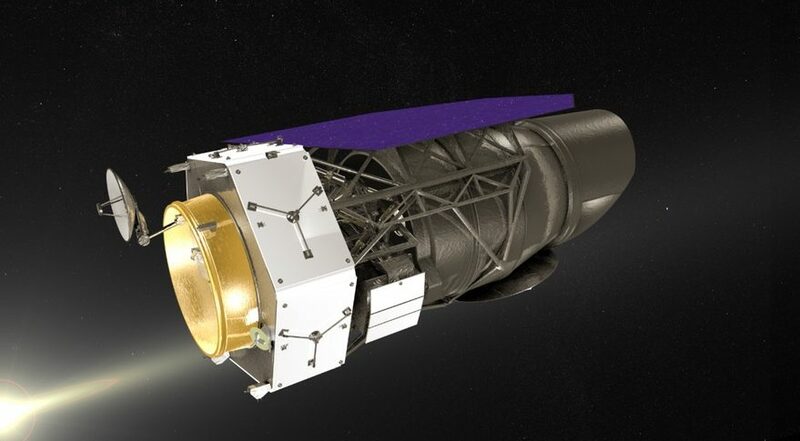 The spacecraft, featuring a 2.4-meter primary mirror provided to NASA by the National Reconnaissance Office, is designed to carry out research ranging from exoplanets to dark matter and dark energy. The mission, currently cost-capped at $3.2 billion, is scheduled for launch in 2025. At a March 27 hearing of the commerce, justice and science subcommittee of the House Appropriations Committee, Rep. José Serrano (D-N.Y.), chairman of the subcommittee, asked NASA Administrator Jim Bridenstine about the proposed cancellation of WFIRST, noting the ability of WFIRST to work in concert with JWST. “If one was built to work with the other, why is WFIRST considered for elimination?” he asked. Bridenstine pointed out the cost and schedule overruns of JWST. “We’re now getting it back on track,” he said. “If James Webb isn’t yet ready, preparing WFIRST right away is probably not the right approach.” He emphasized the importance of having a portfolio of both large and smaller missions. He suggested WFIRST could be revived once JWST is launched. “WFIRST will be a critical mission when James Webb is on orbit,” he said. The administration’s fiscal year 2019 budget request also proposed cancelling WFIRST. However, the final spending bill enacted in February ignored that request, providing the mission with $312 million for 2019. That funding, though, was less than what’s needed to keep the mission on schedule, Paul Hertz, director of NASA’s astrophysics mission, said in a March 26 presentation to the National Academies’ Committee on Astronomy and Astrophysics. The budget profile established for the mission at a project milestone known as Key Decision Point B estimated WFIRST needed $372 million in 2019 to stay within budget and schedule. Should Congress reject the administration’s proposal to terminate WFIRST, Hertz said the project will need even more funding in fiscal year 2020 to remain on schedule. “We need $542 million in FY ’20 to stay on track for delivering within our cost target,” he said. That includes additional funding to catch up from the fiscal year 2019 shortfall. If Congress does fund WFIRST, but below the $542 million required to stay on schedule, Hertz said NASA has two options. “We will have to choose between either blowing the cost target and having a larger run-out cost because we had to slow down, or descoping something significant” from the mission, he said. In the latter case, the only significant thing that could be removed is the coronagraph, an instrument previously scaled back to a technology demonstration in order to fit the mission into the current $3.2 billion cost cap. That decision, if needed, would come when WFIRST reaches Key Decision Point C in early 2020.